Did you know that ladybirds, green lacewings, ichneumon wasps and other beneficial insects can be purchased in small packets to fight pests in your garden? 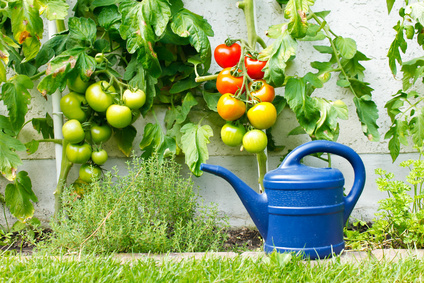 Information on this and lots of other eco-friendly measures to apply in private gardens can now be found on the UBA internet portal "Pflanzenschutz im Garten". Alternative and preventative measures are the main focus, although environmentally-relevant side effects caused by chemical pesticides are also considered. Ecologic Institute led the conceptualisation and portal content management sections of the project, as well as the production of a comprehensive brochure. Plant diseases, symptoms of damages, plant protection measures as well as public advisory services are all covered in more than 20 topic pages. Various images are also provided that serve as an aid to identify damages to plants, beneficial animals, and pests, but also to help the user select the right application. The main themes are illustrated in nine infographics. Furthermore, common and easily-avoidable misapplications of chemical pesticides are explained. All the key information on protecting plants in the garden is also summarised in the UBA brochure "Gartenlust statt Gartenfrust".